Cooking time : 10 -15 mins. Heat oil in a kadhai and fry the cumin seeds for 1 minute. Add the onions and fry until soft. Add the chopped tomatoes and fry for a couple of minutes. Now add the zucchini along with spice powders and salt. Stir it gently. Reduce the heat, cover and cook for about 5-10 mins or until tender. Sprinkle water if needed. 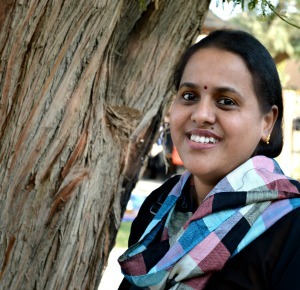 first time here aruna sis.happy to follow you.will u support me sis? yummilicious...thanks for sharing this new but simple stir fry. New side dish learned frm u.. Very quick and delicious stir fry, simply inviting. 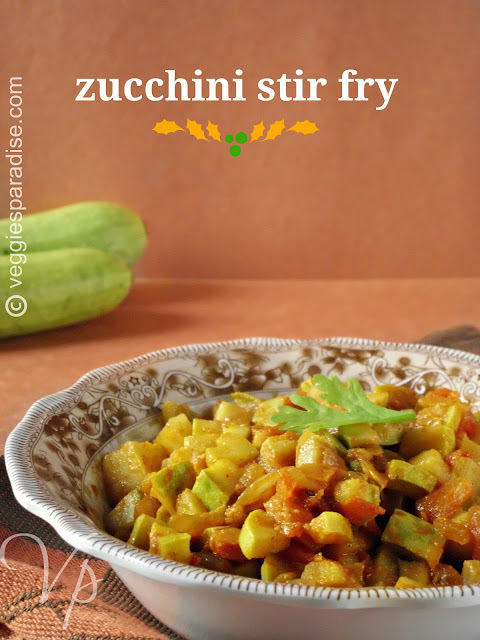 I love zucchini.The curry looks yummy.Goes nice with rice and roti. yummilicious and tempting stir fry. Yummy and delicious stir fry looks nice. healthy n yummy , flavorful stir fry..good one dear! Yummy and healthy stir fry.. 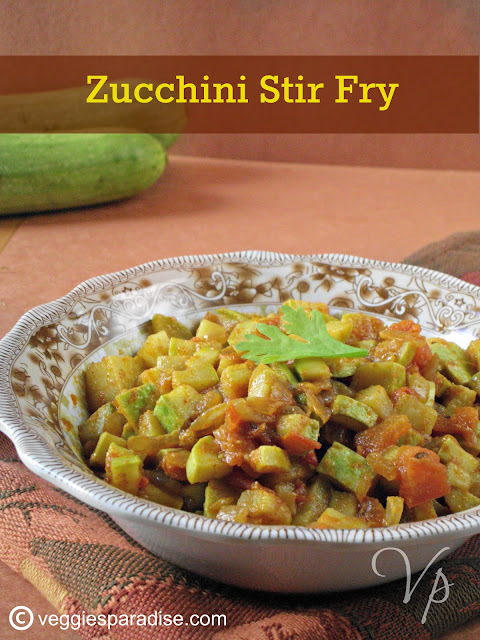 Delicious preparation with zucchini...Looks yum and nice clicks..
Spicy and yummy zuchhini fry. Delicious and easy to make..loved it. Zuchini never looked this nice .. lovely snap ! 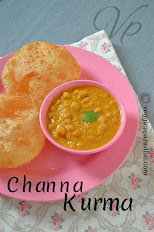 Love this with rotis, tasty stir-fry..
Quick and nutritious stir-fry! Yum! healthy n quick stir fry.. Simple yet delicious stir fry..
Zucchini stir fry looks delicious. A very healthy and yummy treat! !